In the society of late capitalism – whether we understand it as a society of consumption, of control, or as a cybernetic society -, visibility and transparency are no longer signs of democratic openness, but rather of administrative availability. 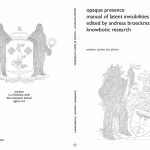 Spaces of agency and spaces of social friction are absorbed into the surfaces of technical processes. Even when the games of visibility, of attention, and of the mechanisms of subjectivation, may not always be a matter of bare survival, they are still a matter of maintaining and appropriating heterotopic zones in which resistance, if not freedom, can be postulated. 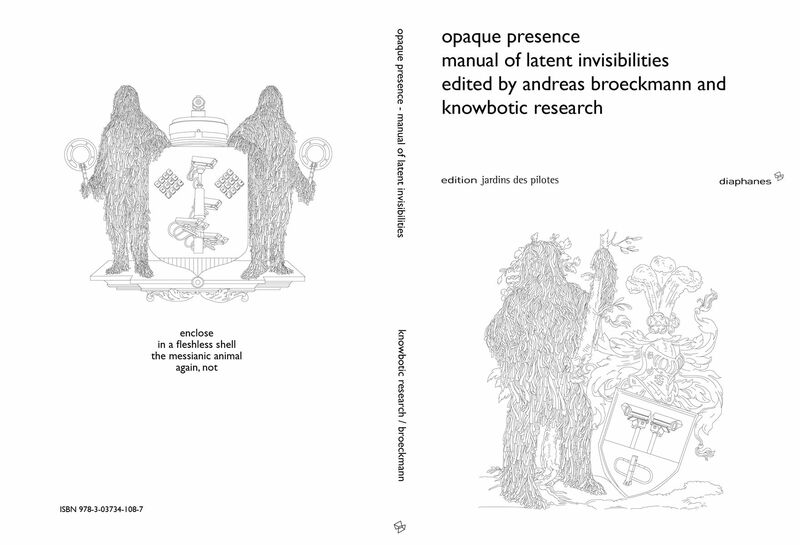 This book deals with questions of public visibility and strategic camouflage. It hinges on the public performance project ›macghillie – just a void‹ by the artist group knowbotic research, in which urban sites are visited by a figure, clad in a camouflage suit. The so-called ›Ghillie Suit‹ was originally invented in the 19th century for hunting and has since the First World War been used in military contexts all over the world. When worn in a contemporary public environment, its camouflage effects the anonymisation and the neutralisation of the person wearing it. The figure of the ›MacGhillie‹ oscillates between the hyperpresence of a mask, and visual redundancy. It traverses the modern urban environment in which conspicuity holds ambivalent currency, wavering between cumbersome affirmation and visual arbitrariness. In the project, the suit is made available to members of the public who can thus become macghillie for a while, testing the boundaries of subjectivity and identity.